Merry Christmas! Happy Holidays! And all the best for 2015! Merry Christmas and Happy Holidays to you from the Goodnight Raleigh staff. We wish you all the best for a happy and blessed New Year! 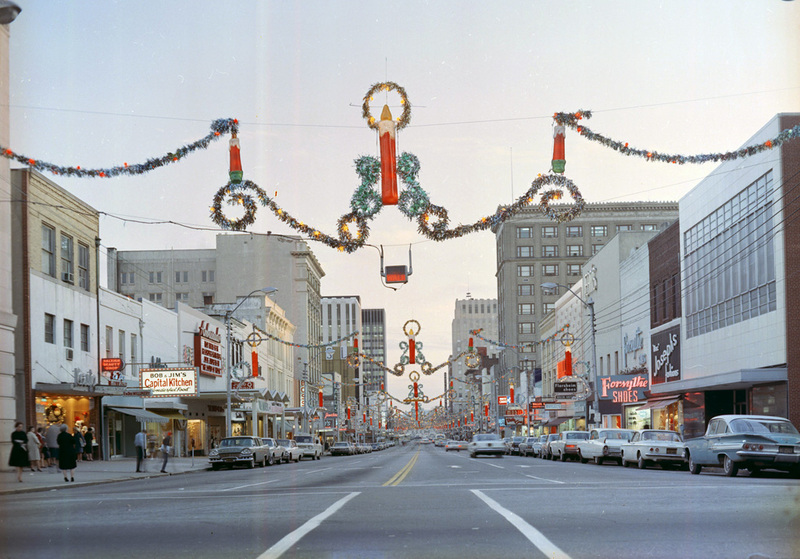 Our Christmas photo this year dates to 1968, 30 years after Fayetteville Street was first illuminated with electric Christmas lights. This second photo shows the decorations during the daytime. 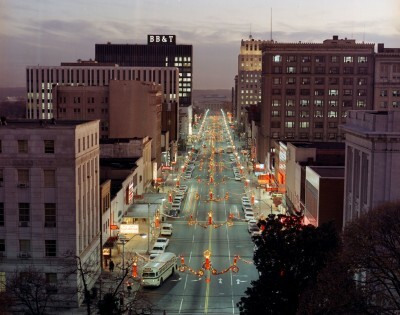 I published a similar view from 1965, at night, in one of my earliest posts on Goodnight Raleigh — A Ghost of Christmas Past.